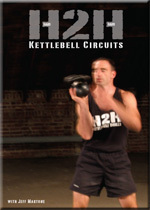 Tactical Athlete is proud to release H2H: Kettlebell Circuits. 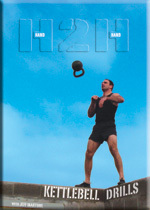 This DVD is the culmination of H2H: Kettlebell Drills and H2HII: Harder. Faster. Stronger. 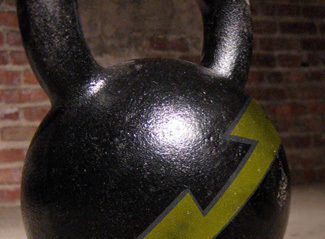 H2H: Hand-to-Hand Kettlebell Circuits has proven to be the most demanding, challenging, and effective form of circuit training using a single implement – one kettlebell. It is circuit training at it’s finest! This is the culmination of H2H 1 & 2. Jeff takes the guess work out of program design. Programs designed for all levels: Beginner, Intermediate, and Advanced. 200 weeks of program design – enough material to keep you challenged for 4 years! MAXIMUM RESULTS IN MINIMUM TIME – GUARANTEED!